Following an 18-month scuffle under the Freedom of Information Act, the Pentagon has released records detailing serious contamination on Okinawa base land slated soon for return to civilian use. 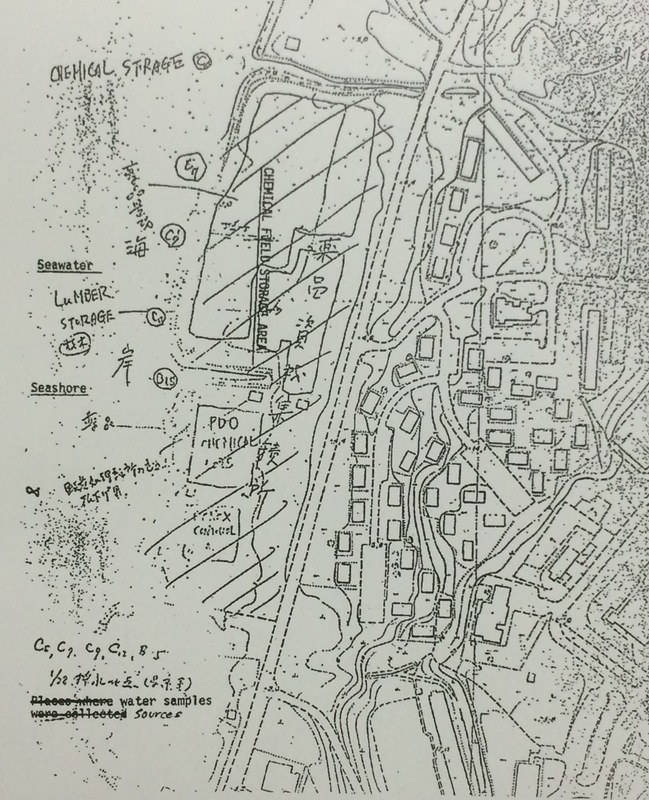 The FOIA release is believed to be the first time such comprehensive records regarding U.S. military contamination in Japan have been made public. 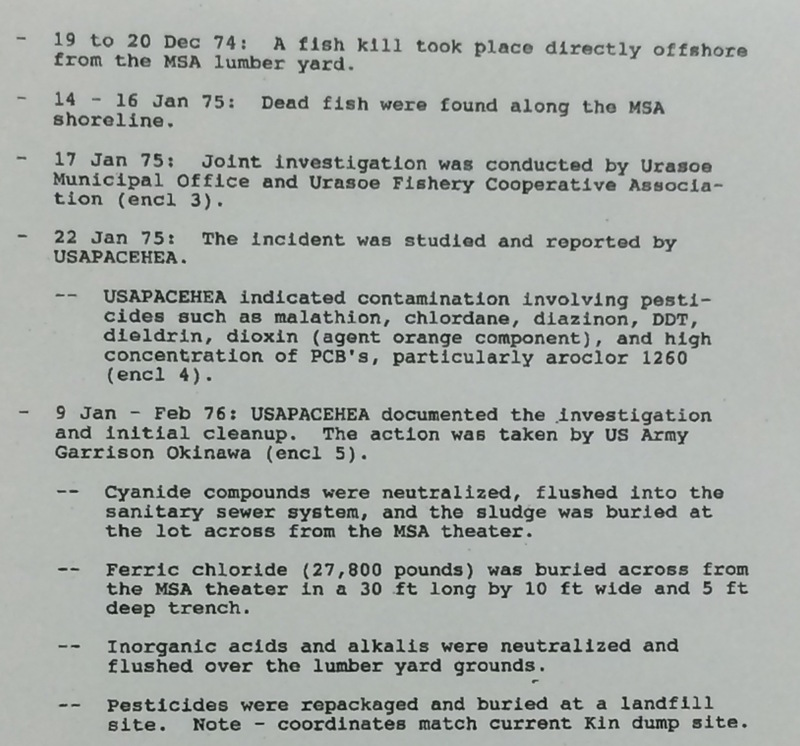 The 82-page package, which includes reports and memoranda from the U.S. Army, Navy and Marine Corps, reveals mass deaths of sea life, burials of toxic chemicals and the possible exposure of base workers at U.S. Marine Corps Camp Kinser in Urasoe, Okinawa Prefecture. The documents also highlight the frustrations of the U.S. military as it struggles to tackle contamination in the face of previous inept cleanups and bureaucratic obstacles. 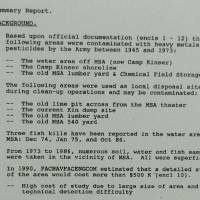 The documents, dating from the 1970s to 1990s, focus on a 46,000 sq.-meter outdoor chemical storage area located on the southern shoreline of Camp Kinser, formerly known as the Machinato — or Makiminato — Service Area. According to the reports, among the substances stored were “retrograde shipments from Vietnam,” including insecticides, herbicides and solvents. The pesticides, chlordane and DDT, have both been banned due to health risks; dioxins and PCBs have long been recognized as harmful, and can remain dangerous for decades when buried. Subsequent tests on Camp Kinser in 1977 also revealed high levels of carcinogenic heavy metals, including lead and cadmium. According to the FOIA-released records, in an attempt to mitigate the contamination, large quantities of the stockpiled chemicals were buried or “flushed” on the base — including sludge from neutralized cyanide compounds, inorganic acids and alkalis and 12.5 tons of ferric chloride. 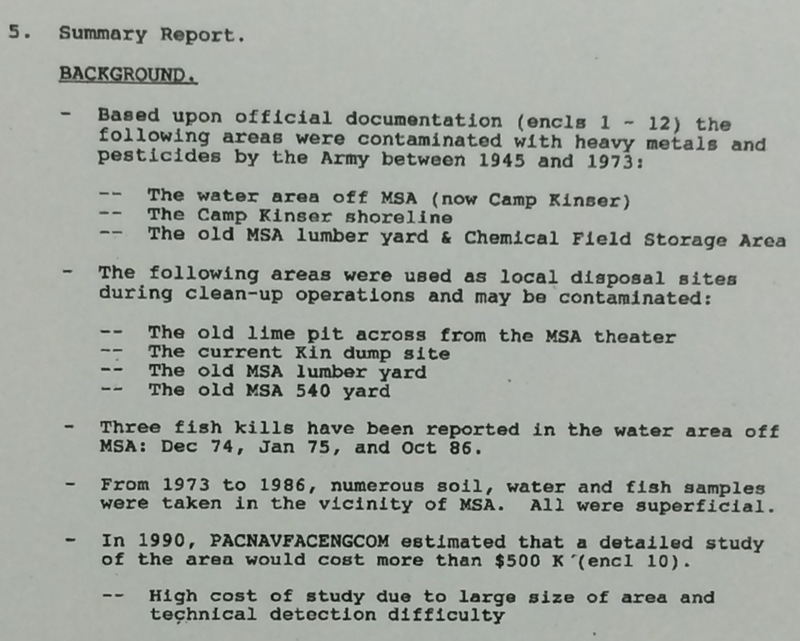 Pesticides were also buried at Camp Hansen in the town of Kin. However, the reports suggest these cleanup efforts were unsuccessful. In the mid-1980s, during a civilian landfill project, toxins again seeped from the base, resulting in the further death of marine life. Documents written by military personnel in the 1980s and 1990s reveal their dissatisfaction with predecessors’ remediation attempts. Labeling the surveys “superficial” and “cursory,” they criticize the lack of follow-up checks and the failure to record whether the contaminated soil was ever removed from the installation. 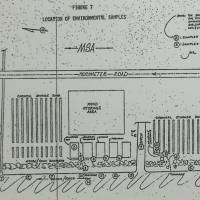 A Navy report from 1984 raises concerns that construction workers might have been exposed to toxins during the building of a new medical center on the base. The discovery of elevated heavy metal levels on the shore 2.2 km from the storage site also seems to have compounded fears of the potential impact on communities beyond the installation. 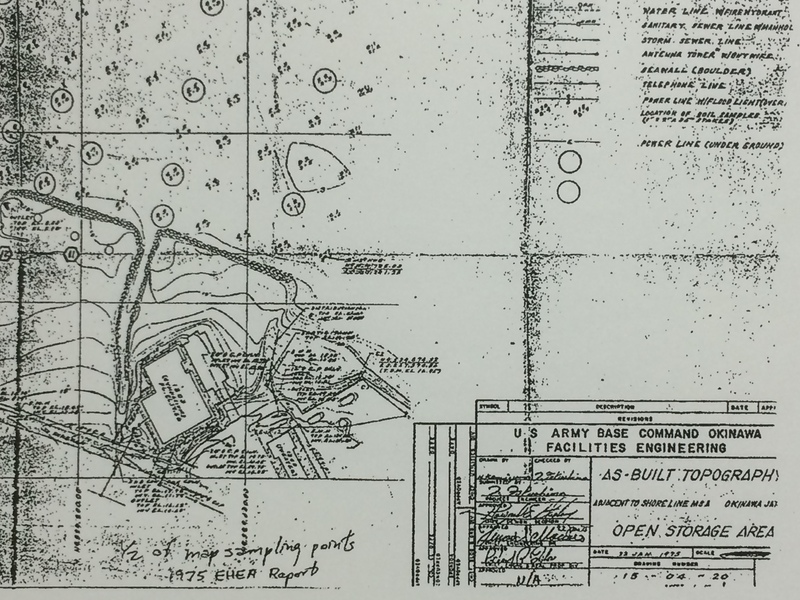 As recently as 1990, one navy commander wrote that he suspected toxic “hot spots” still existed within Camp Kinser. “Detection of these hot spots would be extremely difficult and require extensive sampling,” he explained. Included in the package are several charts pinpointing the contaminated area. 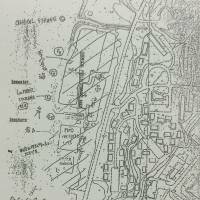 Cross-checked against current maps of Camp Kinser, it appears that today a bowling alley, medical center and baseball field sit upon the site. Additionally, civilian reclamation work has filled in the sea neighboring the former storage yard. Under plans to consolidate the U.S. presence in Okinawa, the central government and Washington intend to return to Okinawa the bulk of Camp Kinser in 2024 “or later.” However, the return of a 2-hectare parcel of land near the base’s Gate 5 missed its scheduled 2014 return date. That land appears to be located within — and directly adjacent to — the contaminated zone. Komichi Ikeda, adviser at Environmental Research Institute Inc. in Tokyo, expressed concern that, given the persistence and toxicity of the chemicals involved, the land may still be polluted. “Depending on the concentration of the substances and their interaction with the environment, they might still pose a danger. It’s important for the U.S. to follow current EPA (Environmental Protection Agency) guidelines and survey the land for possible contamination before it is returned to civilian use,” she said. At the time of publication, U.S. Forces Japan (USFJ) had not responded to requests for comment on when the handover of land near Gate 5 would take place or whether environmental checks had been conducted there. 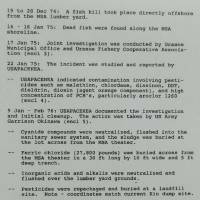 The FOIA-released documents appear to corroborate the accounts of the hundreds of U.S. veterans who claim they were sickened by dioxin-tainted defoliants — including Agent Orange — in Okinawa. Some of the papers cite herbicides among the chemicals returned from Vietnam and the discovery of a “high concentration” of dioxin; a USFJ report also cites the detection of what it calls “dioxin (agent orange component)” in 1975. Although a 1984 navy statement within the FOIA package reports that no herbicides were “found or detected,” the following year the navy appears to have taken the threat of defoliant contamination seriously enough to order a series of dioxin checks for the base. The tests came back negative. 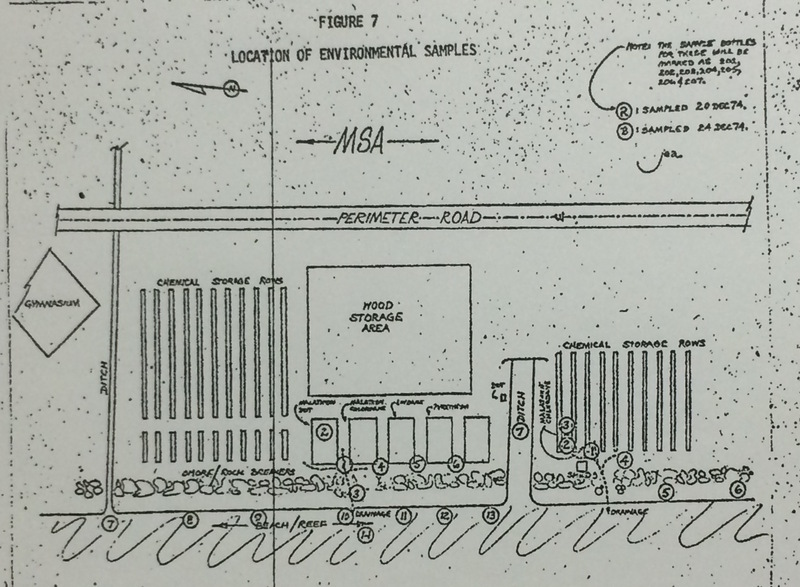 In addition to scientific data, the FOIA-released reports also provide insight into the hurdles the U.S. military faces in dealing with contamination on its bases in Japan. In 1990, the navy estimated that a full survey of the former storage site would cost more than $500,000 (about ¥112 million in 2015 terms), but it warned any actual remediation would cost much more. According to the reports, such funding would be difficult to obtain because some Pentagon cleanup budgets were reserved for projects within the U.S. Also, there were not enough personnel available to conduct a survey of the size required for Camp Kinser. Then — as today — the U.S.-Japan Status of Forces Agreement relieves Washington of all remediation costs of land returned to public use. On Monday, Tokyo and Washington inked a new environmental pact that will theoretically allow Japanese officials access to inspect its bases following a contamination incident or to conduct surveys of land scheduled for imminent return.